At Prosperity Health, we are constantly looking for the best tools to augment our holistic approach to healthy weight loss and fitness. We are proud to announce that, after extensive research, we’ve partnered with Team Beachbody to provide our patients with a comprehensive suite of weight loss and fitness products and tools. 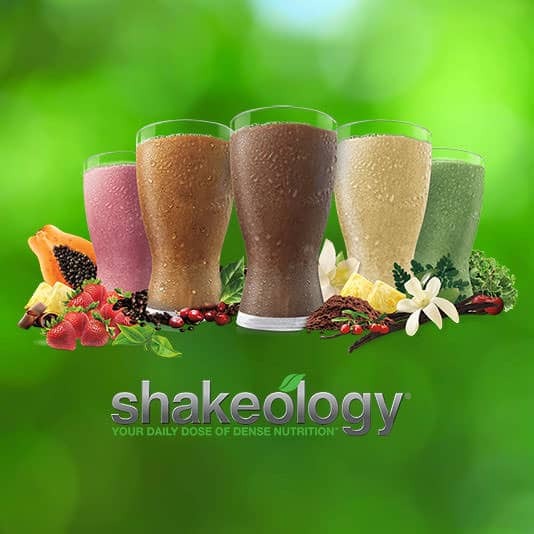 Dr. Hakim highly recommends Shakeology dense-nutrition shakes in addition to the specific tools and fitness plans offered by Team Beachbody detailed below. Dr. Hakim highly recommends Shakeology dense-nutrition shakes. These shakes are not only delicious; they are packed with superfoods, vitamins, minerals and protein. Taken daily, these shakes help patients maintain energy levels, reduce food cravings and support healthy digestion and regularity. Flavors include: Vanilla Vegan, Cafe Latte Vegan, Café Latte, Vanilla, Chocolate, Strawberry, Greenberry, Tropical Strawberry Vegan and Chocolate Vegan. Empower your taste buds to pick their favorites with this delicious new sampler pack. Not only have all five of Shakeology's whey flavors been enhanced with two new powerful superfoods—Matcha and Chaga—their vitamins and minerals got bumped up too! Although we believe in continual improvement with Shakeology's formula, what didn't change is its deliciousness that the world has come to know and love. The easiest way to figure out which flavors you savor the most is by sampling them all, of course. This vegan sampler not only has all four dairy-free flavors, including our two newest ones, Vanilla Vegan and Café Latte Vegan, but each flavor is loaded with our new superfoods—Matcha and Chaga. 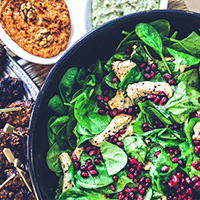 Once we discovered these superfoods' superpowers, we had no choice but to add them to the mix while keeping the same great taste. This amazing boost contains one full serving of nutritious green veggies that provides vitamins, minerals, and healthy phytonutrients to your body. It's like you're like eating 2/3 cup dark leafy greens, 1/3 cup cucumbers, and 1/3 of a large celery stalk. Plus, this unique formula helps support the body's acid/alkaline balance. Get over half of your daily recommended amount of fiber when you add this boost to Chocolate Shakeology. With a unique blend of 7 grams of both soluble AND insoluble fiber packed into every single scoop, this formula stands apart from typical fiber supplements that contain only soluble fiber. This powerful boost helps improve regularity, support digestive health, and helps keep you feeling full longer. Feeling tired? Need to lose some weight? We can all use a healthy detox and an energy boost to rev up your metabolism. 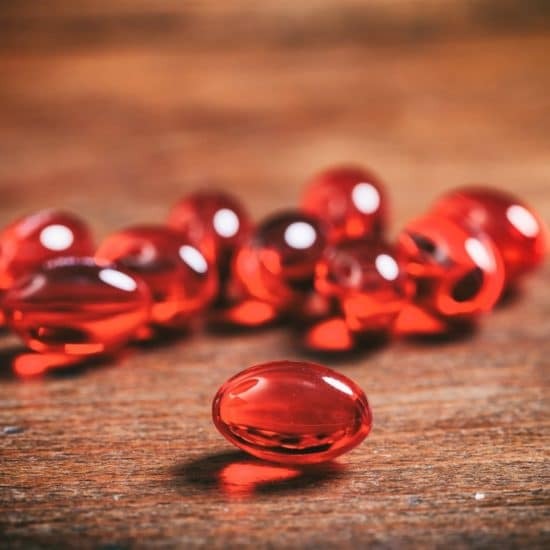 Dr. Hakim recommends the following products to quickly get back on the right course on your fitness and weight loss journey. Feeling tired and sluggish? Give yourself an inner-body tune-up. 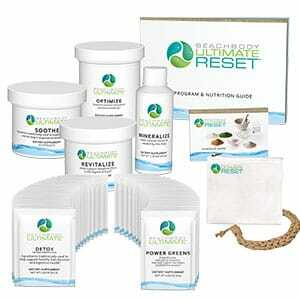 In just 21 days, the Ultimate Reset can help you gently restore your body to its optimal factory settings, to help you feel energized, enjoy better digestion, lose weight, and reclaim your overall health. Nobody likes to count calories. It takes too much time and guesswork. 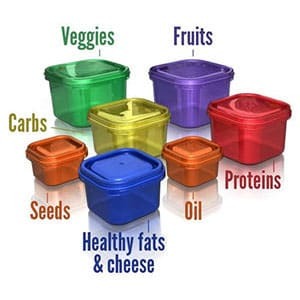 The cookbook and containers below can help keep you from overeating without having to count calories. 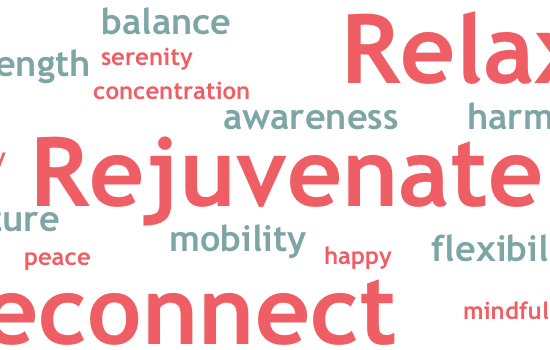 We think they are great tools to have in your wellness optimization arsenal. 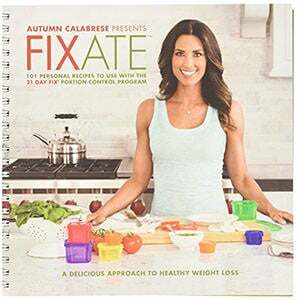 Enjoy the foods you love and still lose weight with the FIXATE® cookbook, Autumn Calabrese’s very own collection of 101 delicious, recipes designed to work with portion control food containers. Forget about counting calories! These color-coded containers help you portion out exactly the right amount of food, so you never eat too much or too little. It’s the simplest way to always get your best results. 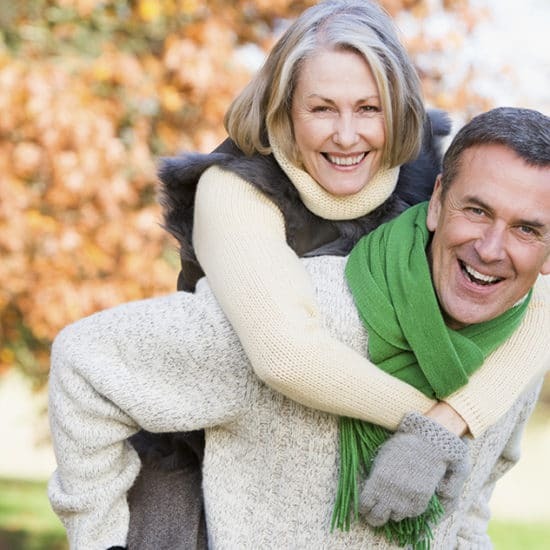 Prosperity Health has partnered with the #1 home fitness company in the world to offer our patients fitness solutions that you can fit into your busy schedule. Patients can join our Beachbody On Demand membership which is a website and mobile app that allows you to stream P90X, INSANITY, 21 Day Fix EXTREME, INSANITY MAX:30, FOCUS T25, 3 Week Yoga Retreat, or any one of over 400 other world-famous Beachbody workouts right on your TV, smart phone, tablet or computer. No matter where you are in the world — whether you’re in your house, at the gym, or on vacation — you can access all of the fitness program guides, over 400 workouts, a healthy cooking show and more on your laptop, smartphone, or tablet. As long as you can connect to the Internet, you can work out, no DVDs required. The annual access for Beachbody On Demand is just $99, making it a very economical solution for getting your exercise in regularly. Sign up for a Beachbody On Demand Home Fitness membership and stream from anywhere! Need the ultimate challenge? Get the All Access Beachbody On Demand with the Shakeology Challenge pack. 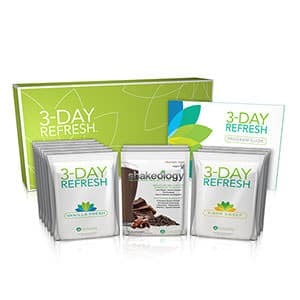 It includes digital streaming for a full year with a 30 day supply of Shakeology.